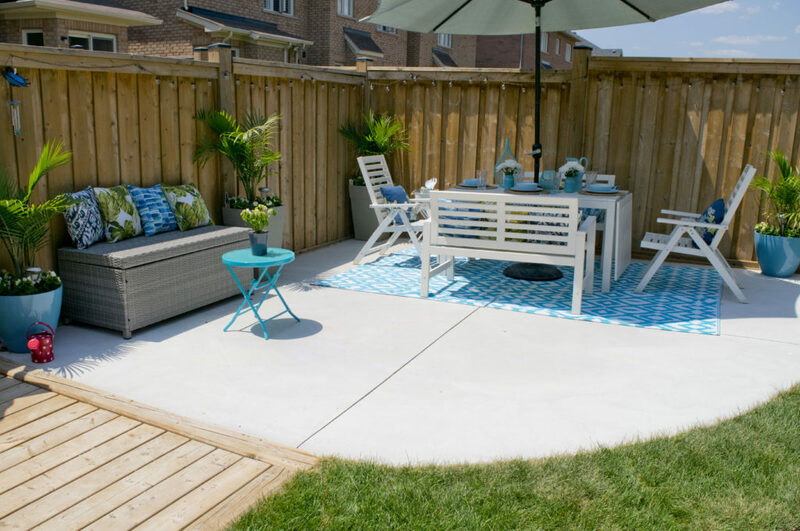 "The overall vibe of the backyard is meant to reflect the interior theme and feel like an extension of our home. 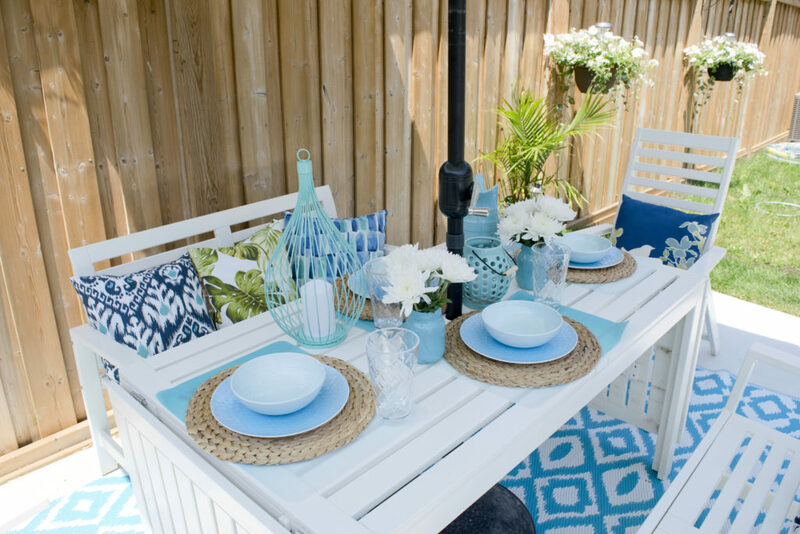 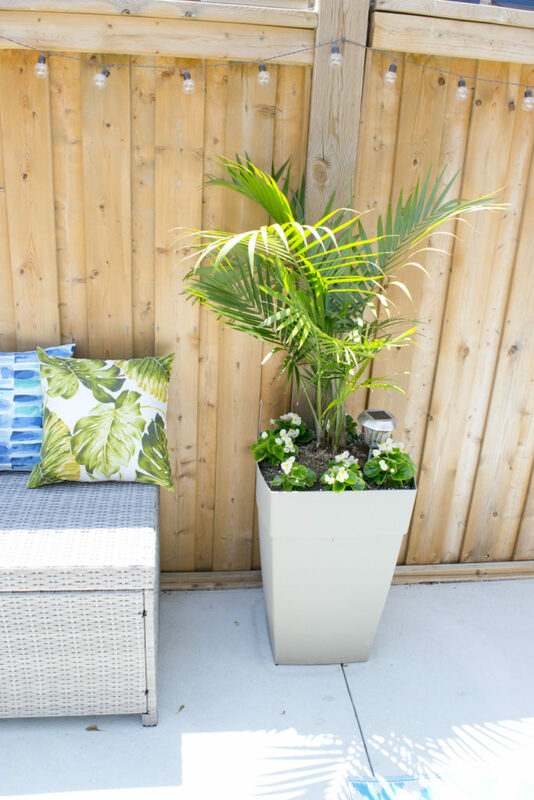 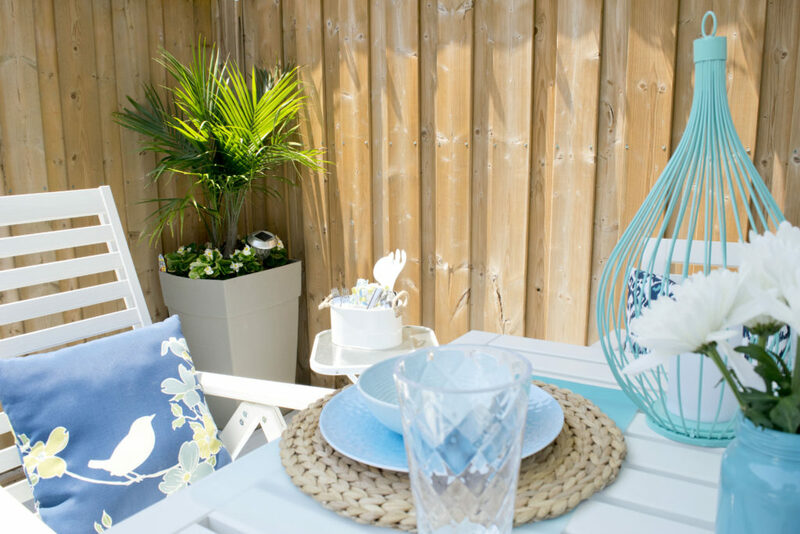 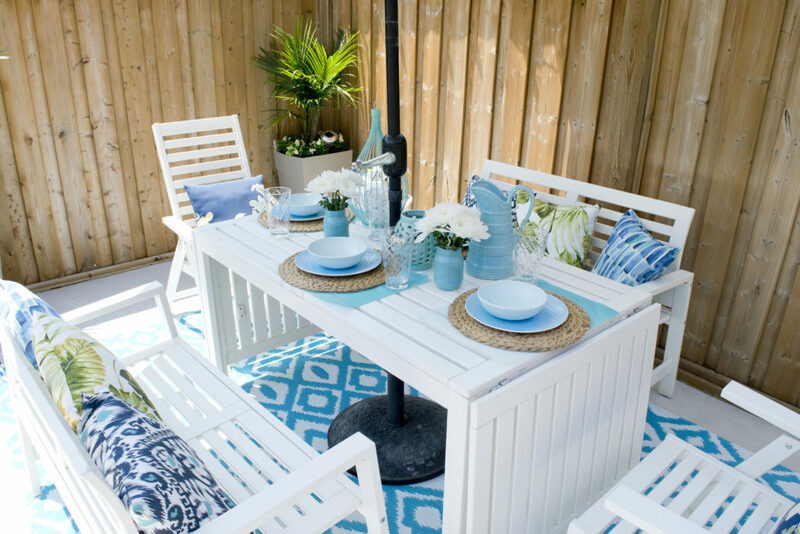 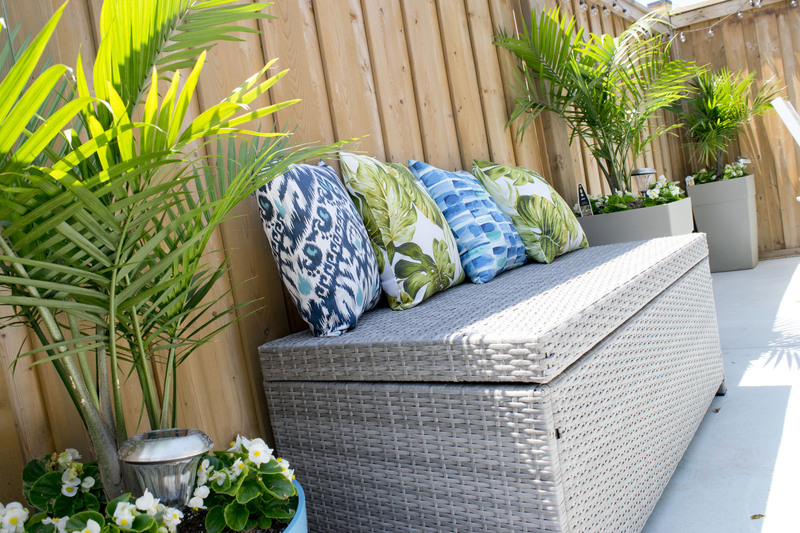 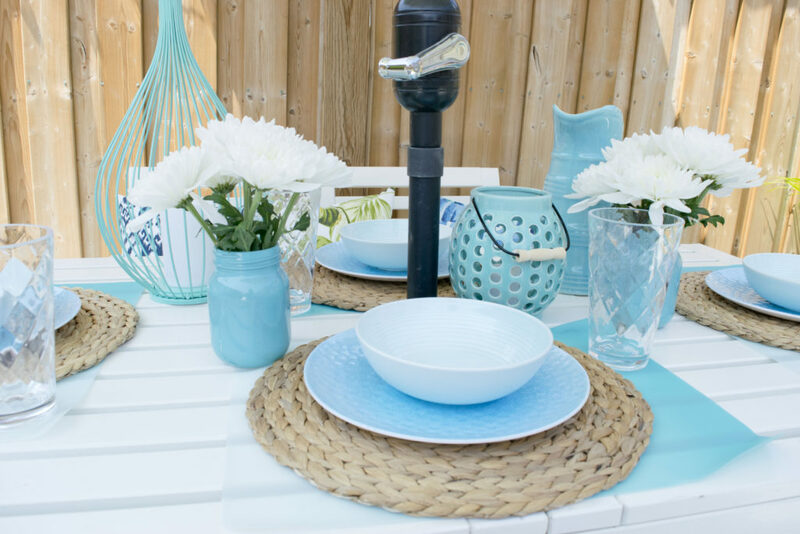 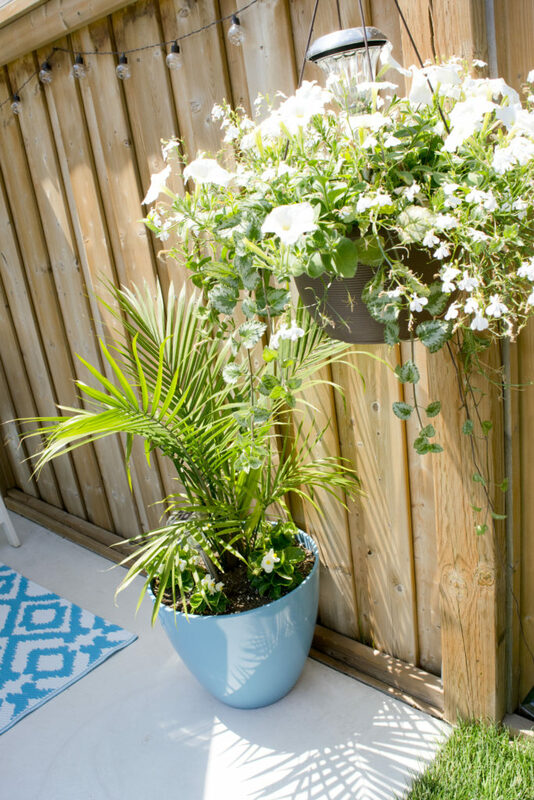 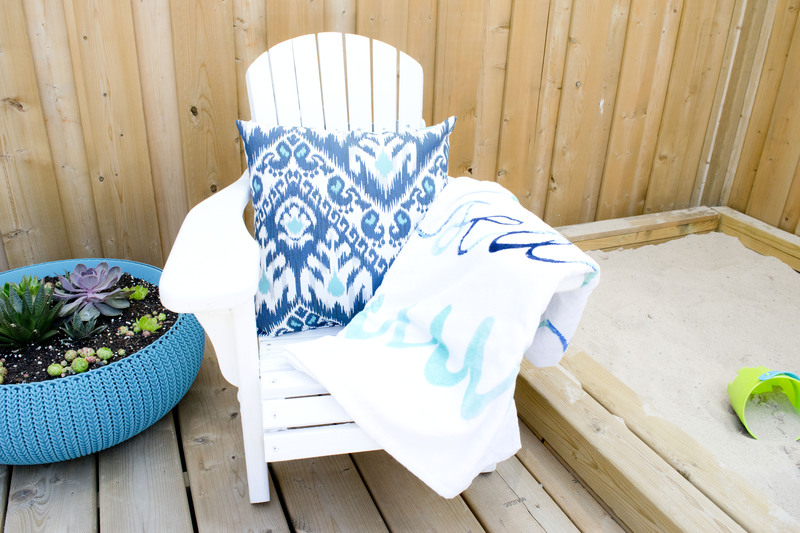 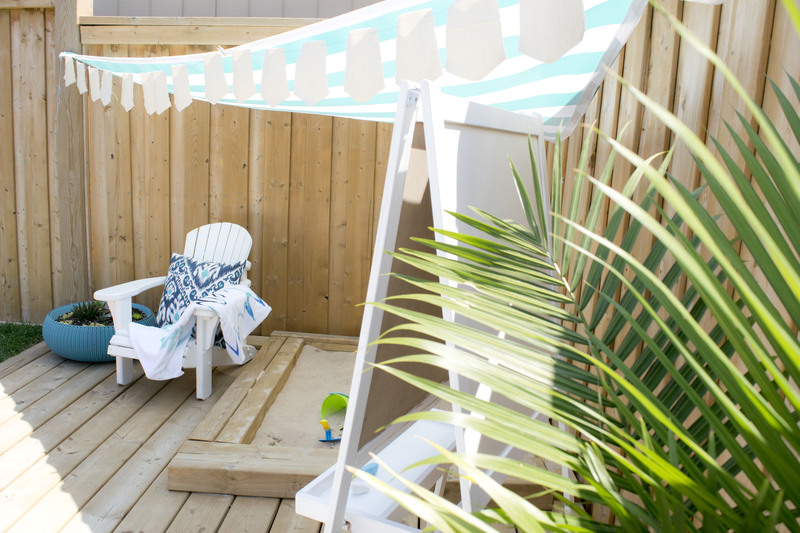 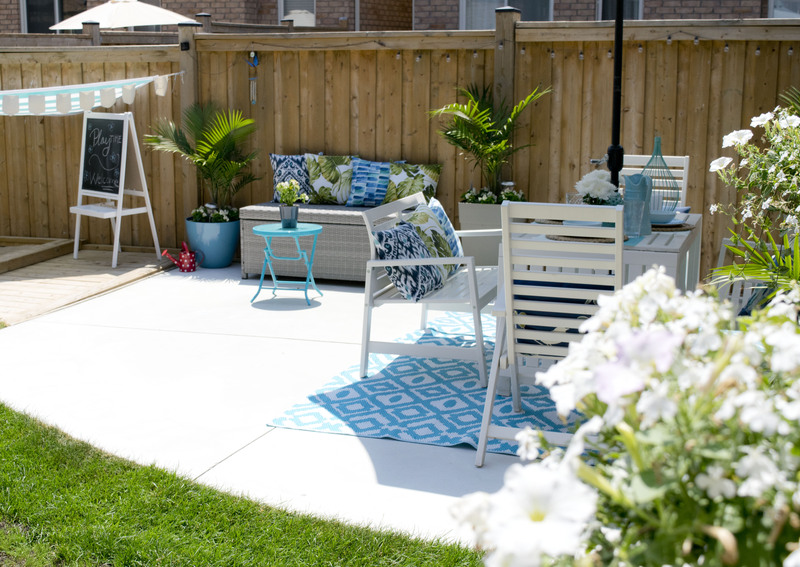 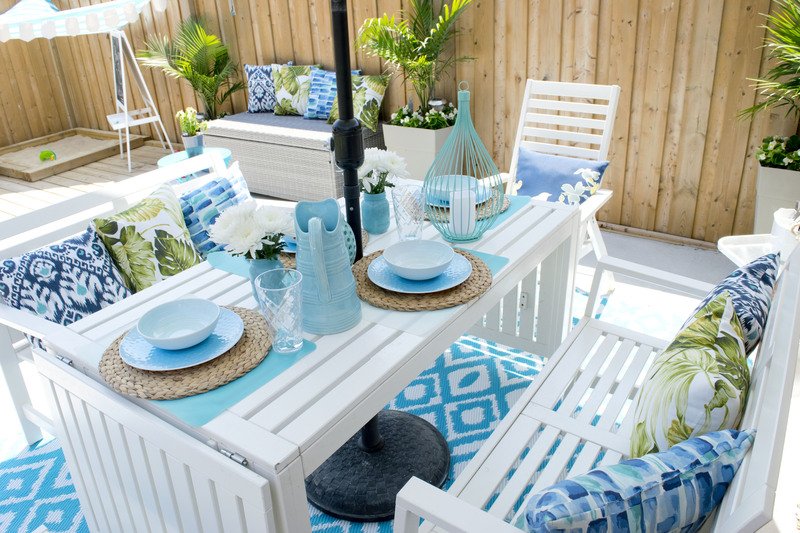 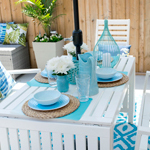 With bright whites, beautiful turquoise accents and monochromatic plants (white and green), our backyard feels exactly like our indoors – bright and beachy." 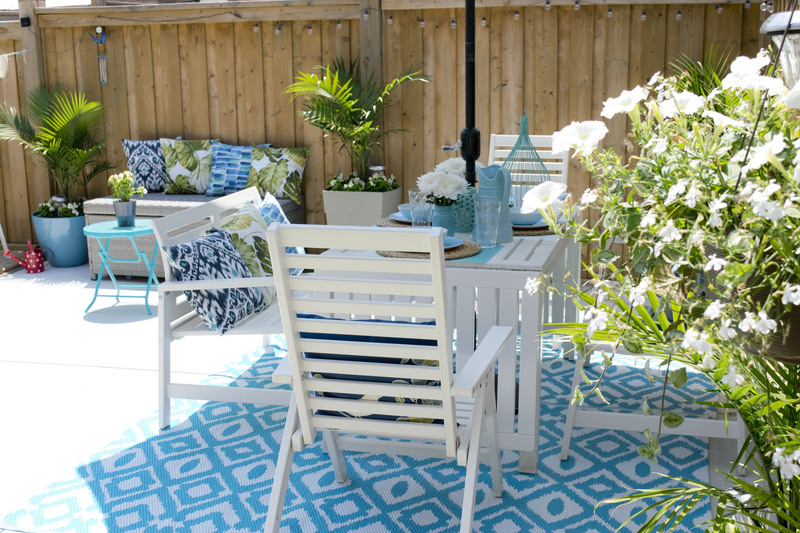 For most of us living in a large city, finding that place where we can unwind and relax is often a feat in itself. 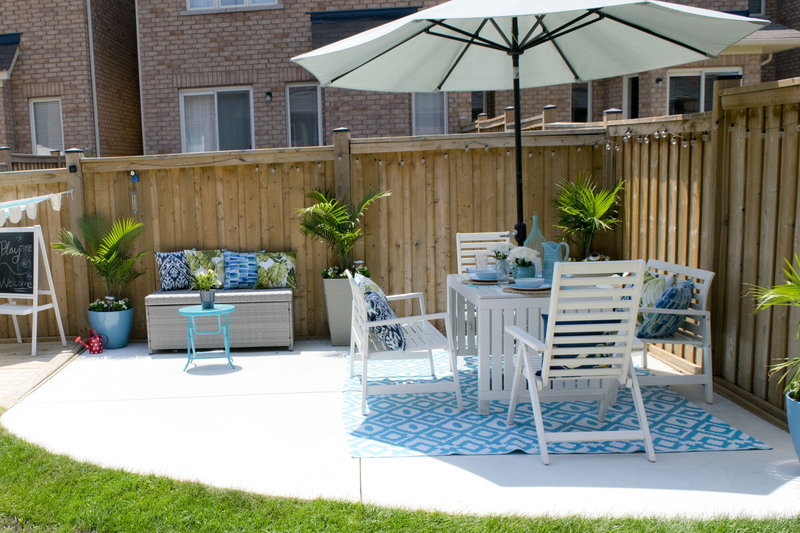 With prices of homes going up but the actual space available decreasing, it’s a real struggle to be able to create livable, functional and beautiful spaces that we can enjoy when we do have a little time. While our townhome is not large (approximately 1500 sq ft), we got really lucky with the size of our backyard, considering that most townhomes in the GTA either have balconies above garages or backyards so small that you can fit four people max. 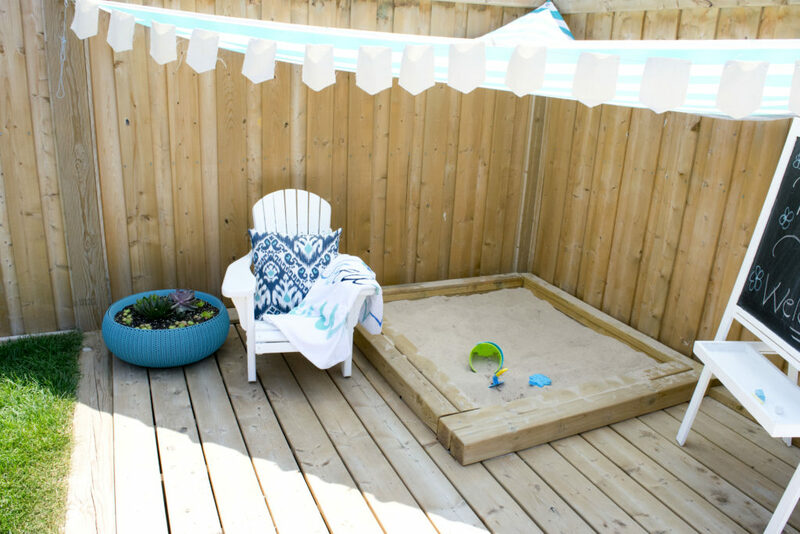 After having kids, we realized we really needed more space where they can run around and play while we can still keep an eye on them. 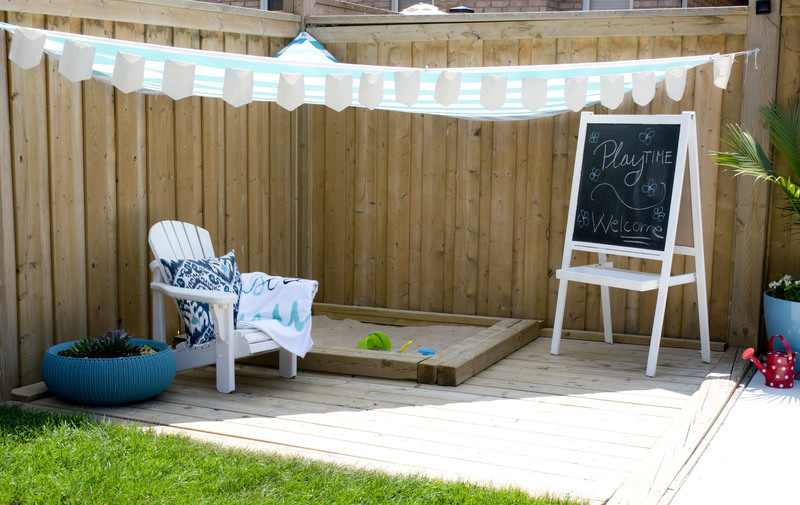 Our son is too young to enjoy the backyard this year, however, our daughter loves it. 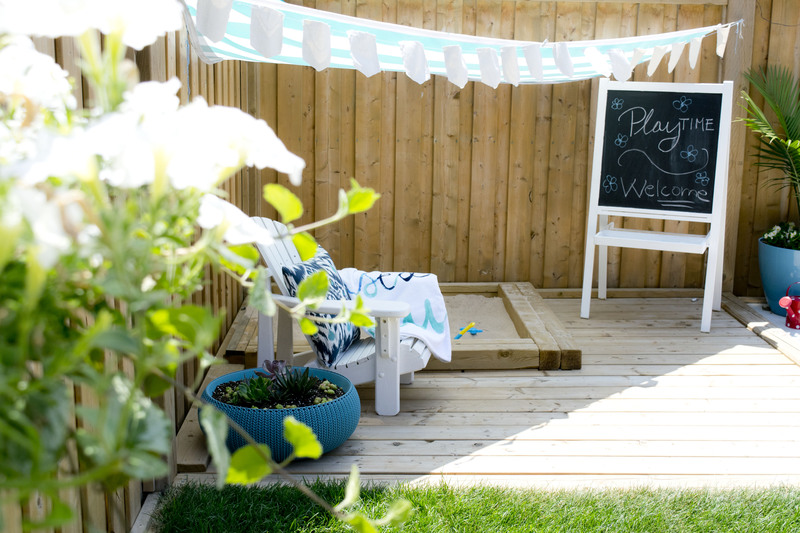 From the bubble machines, sprinklers, sandbox, watering flowers, I feel we managed to create an interactive and safe space to enjoy the ever-so-short Canadian summers. 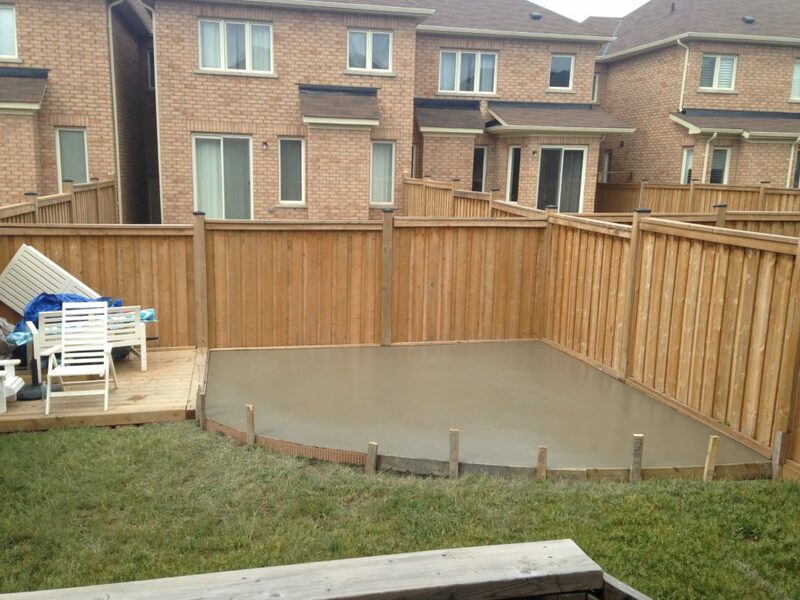 Instead of building out a wooden deck, we opted for a concrete pour that is easier to maintain year over year plus we use it as a giant chalkboard where we can draw and have more fun. The overall vibe of the backyard is meant to reflect the interior theme and feel like an extension of our home. 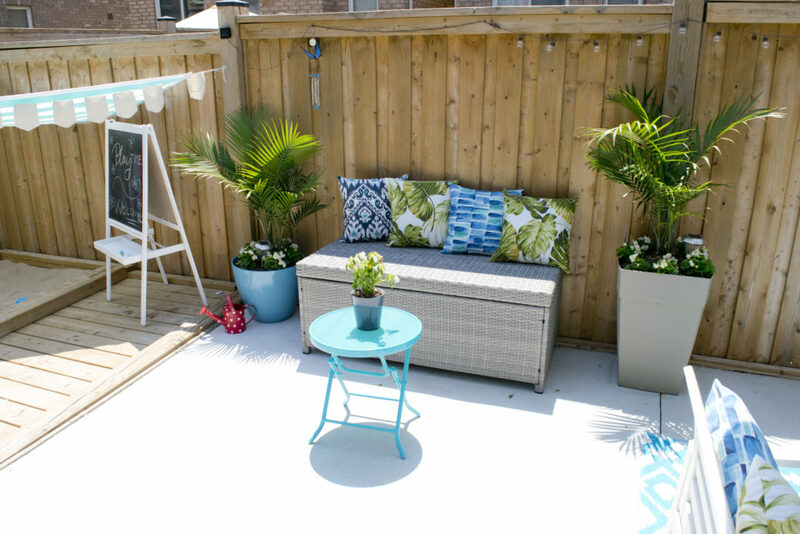 With bright whites, beautiful turquoise accents and monochromatic plants (white and green), our backyard feels exactly like our indoors – bright and beachy. 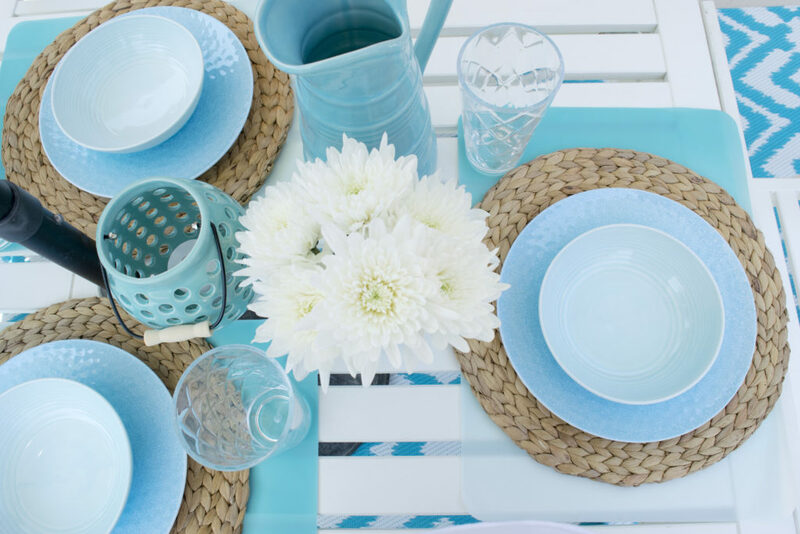 I am really looking forward to entertaining our friends and family this year as there is so much to celebrate. Coming up is my dad’s 60th birthday party which I will write about in a future post.